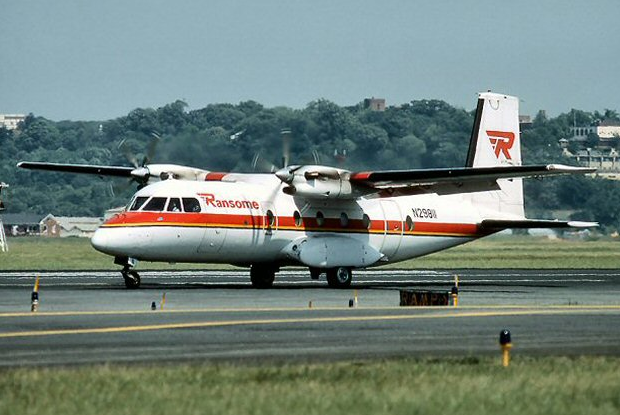 Ransome Airlines was a regional airline from the United States, headquartered at Northeast Philadelphia Airport near Philadelphia, Pennsylvania. Founded in 1967, it operated feeder flights on behalf of different mainline carriers for most of its existence: as Allegheny Commuter (1970-1982), Delta Connection (1984-1987), Pan Am Express (1987-1991) and finally Trans World Express (1991-1995). The company was founded by J. Dawson Ransome in 1967, which the launch of revenue flights in March of that year. The initial network spanned along the East Coast from Philadelphia to Norfolk, and was served using a fleet of Volpar (Beechcraft) Model 18 11-seat airliners. 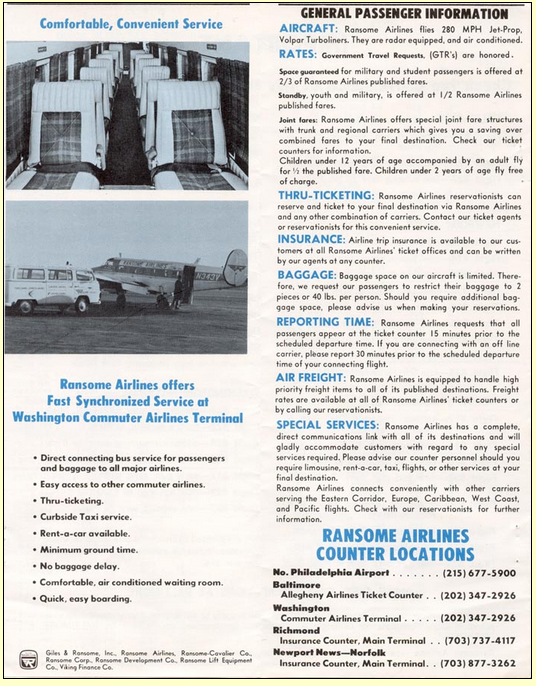 In August 1970, Ransome Airlines started a partnership with Allegheny Airlines, which would last until June 1, 1982. 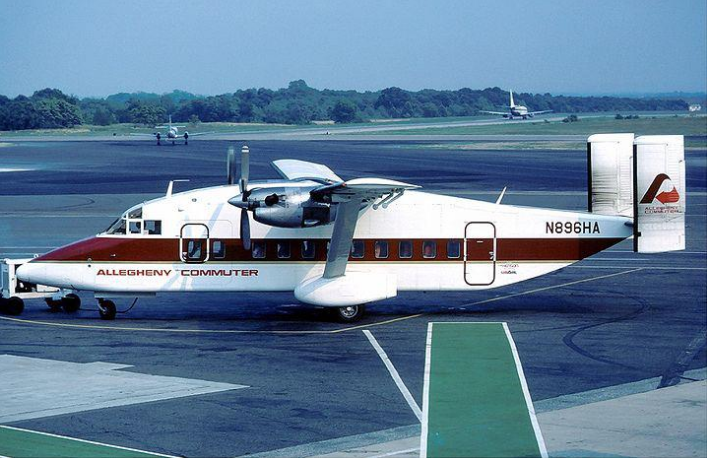 During that period, Ransome was branding its flights as Allegheny Commuter, feeding into Allegheny's hub at Pittsburgh International Airport, though the point-to-point network in the north-eastern United States was also kept. 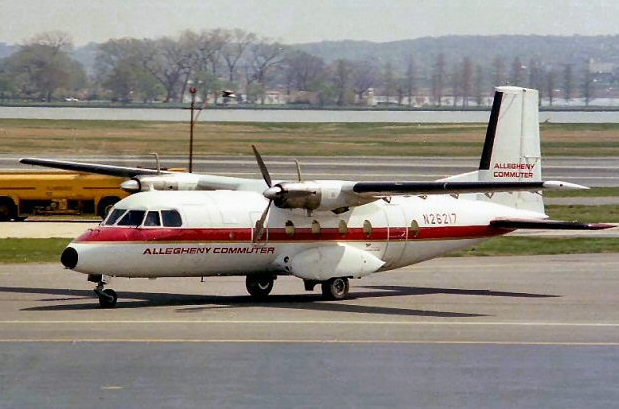 This airline co-operation is seen as one of the earliest examples for a true codeshare agreement (Henson Airlines had been the first carrier to operate as "Allegheny Commuter" in 1967). Following the Airline Deregulation Act, Allegheny Airlines was renamed USAir in 1979. 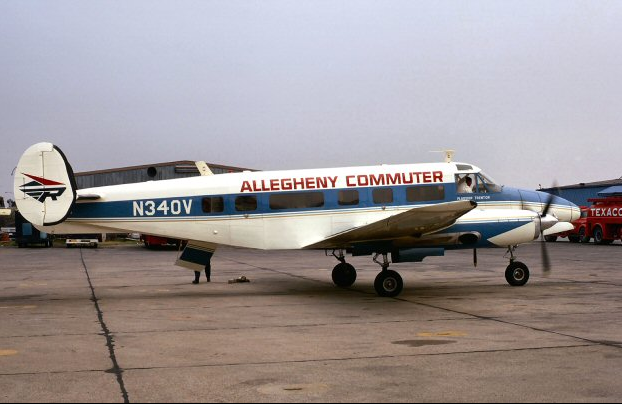 The Allegheny Commuter name was kept for some years, though, so that Ransome Airlines never operated as USAir Express. Between 1982 and 1984, Ransome returned to operating its point-to-point route network under its own brand name, which then spanned from Boston to Washington, D.C. In May 1984, Ransome went into a partnership with Delta Air Lines, allowing its passengers to connect to/from Delta flights at Logan International Airport (Boston), Washington Dulles International Airport, Philadelphia International Airport and Newark International Airport, among others, marketing these flights as Delta Connection. In 1986, Pan American World Airways announced its intention to buy Ransome Airlines, in order to use the carrier (with the tentative Ransome Express branding) as feeder for its Worldport hub at John F. Kennedy International Airport. 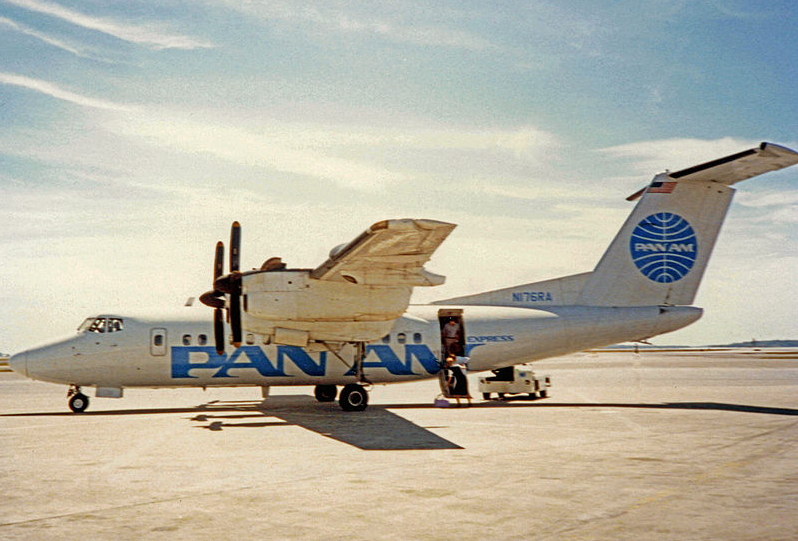 When the acquisition was finalized in June 1987, Ransome was renamed Pan Am Express, though, operating a fleet of newly delivered ATR42s, as well Ransome's older Dash 7s. Henceforth, the airline codes PA and PXX were used. To meet the demands of Pan Am, the structure of the route network (which had not seen any major modifications during the time as Ransome Airlines) saw a number of profound changes. In November 1987, an initial number of two ATRs was used to open up a regional network at Tegel Airport in West Berlin, competing with Berlin European UK (which had been set up in 1986). Pan Am maintained a hub there because, due to the special status of the city, only airlines from the United States, the United Kingdom or France were entitled to serve the airport. By 1990, Pan Am Express operated scheduled flights to 12 destinations in northern and central Europe from Tegel; New York (from JFK and LaGuardia) was linked to 14 airports in the northeastern United States and Canada. Also, feeder flights into Miami International Airport (during 1990 and 1991, focussing on the Bahamas) and Los Angeles International Airport were maintained. Throughout its history, the maintenance base at Northeast Philadelphia Airport was kept, though. Following the demise of Pan American World Airways, Pan Am Express with its then 870 employees was purchased by Trans World Airlines for $28 million on 4 December 1991 and renamed Trans World Express (TWE), adopting RBD as new airline code. The European and Miami centered networks were subsequently discontinued, with John F. Kennedy International Airport becoming the sole hub for TWE. 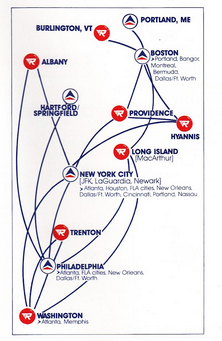 From there, 20 destinations throughout the northeastern US were served by 1993. By then, the airline had gone rid of its Dash 7s, with the ATR 42 remaining the only aircraft type in the fleet. Due to a lack of profitability, TWA decided to shut down Trans World Express on 6 November 1995, which resulted in the loss of 300 jobs at Northeast Philadelphia Airport, where the company had been headquartered and kept its maintenance base for the nearly four decades of its existence. The route network at JFK Airport was taken over by Trans States Airlines, with the majoritiy of TWE's fleet of then 11 ATR 42s being acquired by Mahalo Air.